The IRS has strict rules that define who can be treated as a contractor and who is an employee. And the penalties for getting it wrong can be crippling, including having to pay back taxes and steep fines. When you start to work with a contractor, you want to make sure you get it right. Let's look at the necessary paperwork to help ensure you don’t accidentally cross the line when working with freelancers, consultants, temps and other contract workers. The first step to working with an independent contractor is getting a W-9 form. You can’t complete your 1099 forms without it. The W-9 form captures the name, address and taxpayer identification number (TIN) of each contractor who requires a 1099-MISC. It's a best practice to have your contractor provide a completed W-9 before work even begins. Once you receive the form, store it in a secure place, because it contains sensitive information, including Social Security numbers. You can download a free W-9 form on the efile4Biz site by clicking here. Don't do business with an independent contractor until you have a signed legal agreement. The agreement establishes that the contractor is not an employee of your company. In fact, be sure to title the document, "Independent Contractor Agreement." The agreement should specify how much you’re going to pay, and under what terms. It also should indicate an end date, or at least tie the end of the contract to the completion of a specific project. It should state explicitly that the contractor will use his or her own tools, equipment and supplies, and pay all related expenses. Sometimes there’s a good cause for a contractor to charge back direct expenses, such as supplies or travel, but it’s always better to roll these into the price, if you can. Finally, the contract should specify that the contractor is free to pursue other customers and clients. If you’re concerned about competitors, you can include a confidentiality clause and even a noncompete. And always, always include a liability clause. 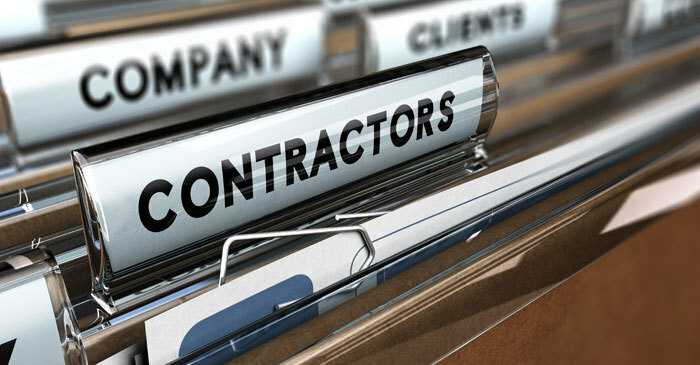 You might even require in the contract that the contractor show proof of liability and workers’ comp insurance, if that’s important for the type of work being done. Another action you can take to help validate independent contractor status is to request an invoice for work completed. The invoice should be for the total project cost, never hourly. Treat your contractor as a vendor under accounts payable. And write checks to the business name — not the individual. When you’re ready to file 1099 forms for your contractors ... we’re here to help! Just go to efile4Biz.com and let us take the hassle out of preparing and filing your forms.